Arthur A. Levine Books, 9780545822367, 224pp. 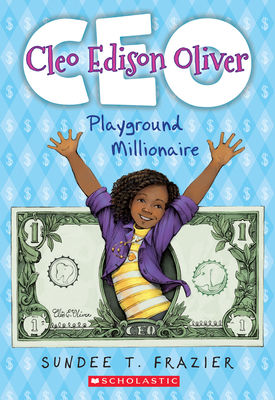 Sundee Frazier is the author of Cleo Edison Oliver, Playground Millionaire, which received a starred review from Booklist. She won the 2008 ALA Coretta Scott King / John Steptoe New Talent Award for her first novel, Brendan Buckley’s Universe and Everything in It. Frazier graduated from the University of Southern California with a degree in broadcast journalism in 1991 and earned her MFA in Writing for Children from Vermont College in 2004. She currently lives near Seattle with her husband and two daughters. Find her online at sundeefrazier.com.